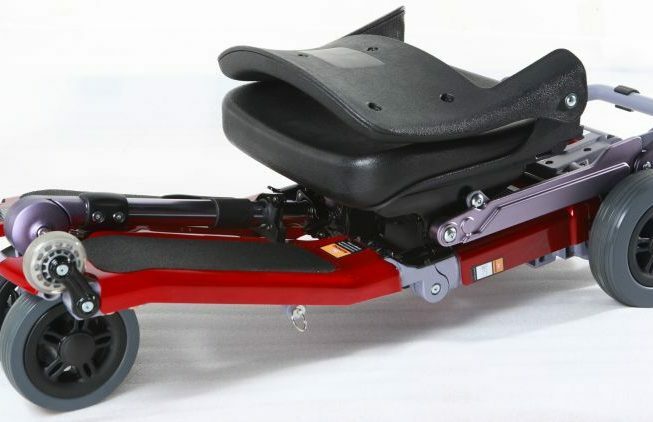 The Luggie Mobility Scooter is the most versatile travel scooter in the world! 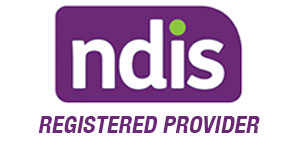 It can be taken on any form of public transport deal with most inclines and will never let you down! The Luggie comes with the latest battery technology as it uses a Lithium Polymer battery, that is the same technology being used in the latest electric cars! The Luggie’s smart folding system makes it the world’s most compact scooter, and the folding and unfolding really is as easy as it looks! 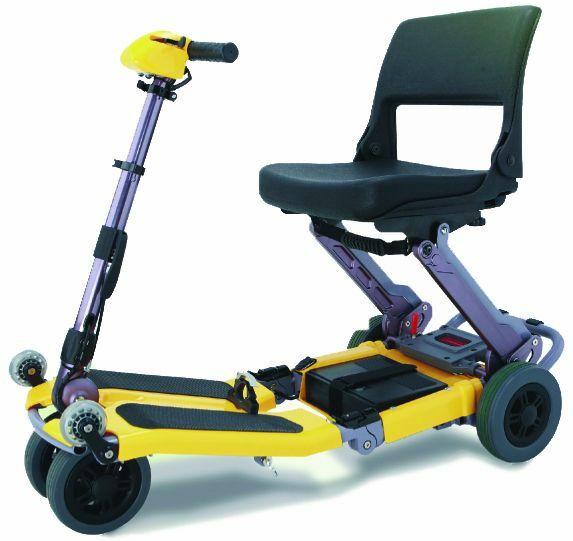 The Folding scooter can be taken onboard trains, planes, buses, cruise ships, trams and pretty much anywhere else you can think of! 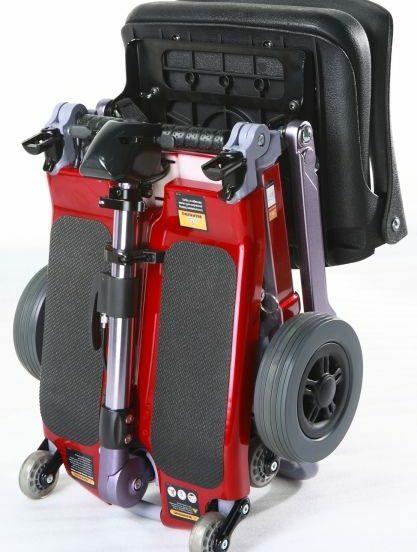 Don’t worry about excess baggage charges, the Luggie goes with you right up to departure, then simply fold it down and hand it over where it will be stored safely with the wheelchairs and prams. This gives you a real advantage in the duty free shops! Easy to remove the batteries. Styled 6 inch solid tyre front. Styled 7 inch solid tyre rear.